What Law School Classes Should You Take? 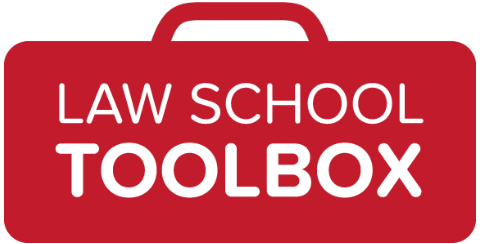 You are here: Home / 2L / What Law School Classes Should You Take? 3L Michelle Williams, author of the excellent Introvert’s Guide to Law School Networking returns with advice on a very important topic — deciding which law school classes to take. During 1L year, I spent absolutely no time thinking about how to choose classes for 2L year. The week before 2L year registration, I was in a mild tizzy. I had no idea what to take and which professors to take. Thankfully, things turned out more or less fine. I’m feeling nostalgic (and relieved) since I have just finished registration for my final semester of law school. Most law schools will soon release a tentative schedule for fall 2014. Rather than stressing yourself the week of registration, consider a few different class-choosing strategies now. 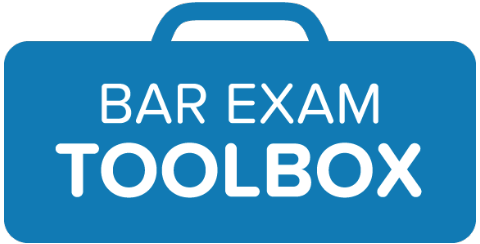 Courses that will prepare you for the Bar Exam. I haven’t overloaded myself with subjects that are on the Bar exam (I will let you know how that turns out for me after I get my Bar exam results in October 2013). Right after I finished spring semester of my 1L year, I made a list of all the subjects tested on my state’s bar exam. I crossed off all of the 1L courses that I had taken. Then, I compared the subjects left with my law school’s catalog, and have made an effort to take courses that sounded confusing or difficult. Talk to recent law school graduates who have taken the Bar to find out what subjects stumped them — and make an effort to take courses in those subjects. Honestly, you will bore yourself to tears and completely miss the point of law school if you only take Bar subjects. Courses that allow you to get some litigation practice. I know that some of you are thinking that you will never, ever, ever litigate no matter what. I thought the same thing — until I took the litigation skills course required by my school. My professor was an experienced assistant district attorney. I did not experience a full conversion into a prosecutor or public defender, but I now recognize the importance of having courtroom skills. I suggest taking a course that allows you to practice courtroom skills under the watchful eye of an experienced litigator. Courses that allow you to explore your area of interest. 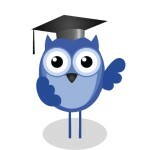 I am a former educator, so I have taken many of the courses offered by my school involving education and family issues. But, I have also taken courses in other areas that I was not necessarily interested in because I want to make sure that I have a full toolbox of skills as a solo practitioner. Courses that just catch your interest. Why not have fun? You’re paying for it (or Uncle Sam is)! That course about prosecuting war crimes caught your eye, didn’t it? But, you talked yourself out of it because you figure you’ll never have a chance to use that knowledge, right? Take the course, particularly if it is not offered often and if it is taught by a special practitioner. Courses that allow you to get real world experience. I started law school with the thought that I wanted to work for the federal government, until I got the chance to work for some government agencies. I realized that what I really wanted was the autonomy that I could only find working at a small firm or as a solo practitioner. Courses that will boost your GPA. Let’s be honest: many of us (I am including myself) want higher law school GPAs. Talk to some 3Ls about which courses and which professors are GPA-friendly and which are not. I have taken a couple of these GPA-friendly courses — but, only the ones that also sounded interesting to me. 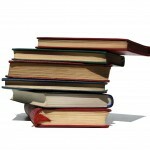 Courses that provide you with writing experience. I do not mean experience in writing papers or writing notes. You need experience writing contracts, wills, trusts, motions, briefs, and demand letters. For both litigators and transactional attorneys, these documents will be the foundation of your practice. It is a weird, wild feeling to have your boss tell you to write a type of document that you have never heard of, much less written. Courses that allow you to practice client interviews. This is important for both transactional attorneys and litigators. I’ve learned that getting the facts of a situation from a client can be difficult, and if you don’t do it the right way your client’s case can be slowed to crawl. My law school offers a course in interviewing and counseling. But, most schools have an experience or a course that will give you practice in this. Michelle Williams is a former public school teacher and current third year law student at Georgia State University College of Law. She is interested in employment law, workers’ compensation, and education law. Currently, she handles aspects of workers compensation cases at Sims & Associates, PC in Atlanta, Georgia. Michelle’s blog, Just Living, addresses a broad spectrum of legal issues. She hopes to be a barred attorney in the state of Georgia after the July 2013 bar exam. Are you getting our weekly email newsletter? If not, you can correct that right now. How did you figure out which classes to take? Any lessons learned? Share in the comments! Image by lusi via stock.xchng. Sound points! Though I’d put tip #5 to the top of the list. As a career coach I have found ‘test’ real world experiences to be one of the most helpful ways for people to gain confidence in making career path decisions. What we imagine a career might be like in our heads can be quite different than reality. Actually experiencing a sample of a job in the real world is a very smart move. If you can get credit for it all the better!